IS: 17-3/8 x 12-3/8 ins. PS: 19-3/8 x 14-3/8 ins. Estimated current value is $260. 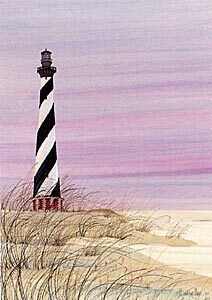 The Cape Hatteras Lighthouse is located in Buxton, North Carolina.